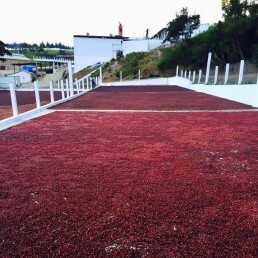 This unique microlot comes from José Roberto Monterroso’s award-winning El Morito estate in Las Flores, Jalapa. We cupped quite a few Guatemalan coffees but this one was a definite stand out with our team individually scoring it the highest on the table. Finca El Morito is a 45 hectare farm located in the municipality of Mataquescuintla, Jalapa in southern Guatemala. 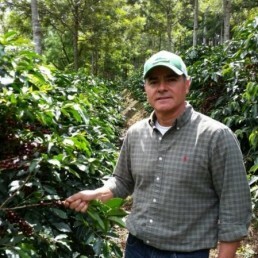 José is extremely passionate about coffee and it shows in the quality of the green bean. He is continually experimenting with different varietals and processing methods on his farm in order to produce the best coffees he can. 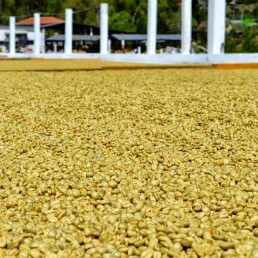 Once the coffee is picked, it’s fully washed and naturally fermented for 15 hours. It’s then sun dried for about 10-15 days on outdoor patios. Rich with sweet aromatics and sparkling acidity. Its ripe nectarine flavours, with hints of honey and vanilla, produce a clean & balanced finish.